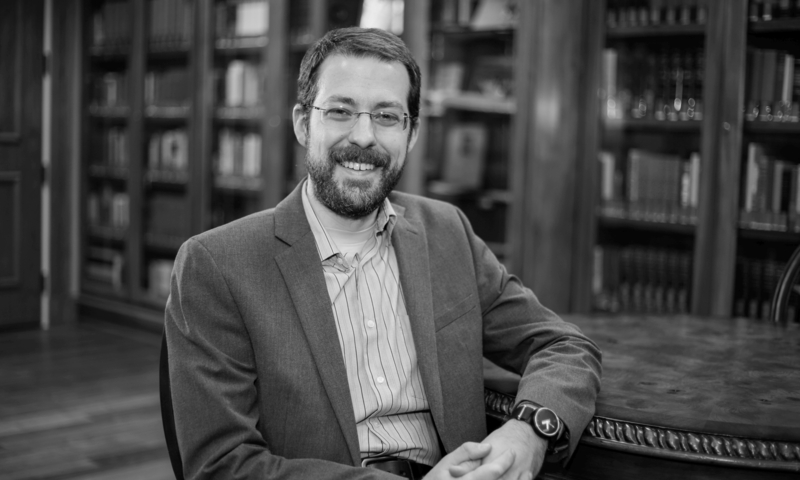 Scott Crider teaches in the English Department at the University of Dallas. His book, The Office of Assertion: An Art of Rhetoric for the Academic Essay, is intended to provide an introduction to “the classical art of rhetoric and composition” (xi). While providing this introduction, Crider specifically seeks to argue that rhetoric is, as a liberal art, a noble pursuit and to improve the readers ability to write academic prose (2). The introduction defends a distinction between rhetoric and sophistry, between “persuasion aimed at the truth . . . and persuasion aimed only at the appearance of truth” (4; cf. 119). Following Aristotle, Crider affirms that rhetoric is not primarily formulaic, although it does involve certain formulas; instead, rhetoric is primarily a mental faculty (5–7). Having truth as its goal, fully formed rhetoric “in its finest and fullest manifestation is a form of love” (12). In addition to discovering means for persuading an audience toward truth, the rhetorical faculty carefully attends to what arguments will function best in a given situation (7–9; cf. 59). Rhetoric begins with invention, some conception of an argument, and invention commonly has five topics: definition, comparison, relationship, circumstance, and testimony (29). Once the rhetor has refined an argument well enough to have a coherent thesis, the rhetor can use these topics to chart a course toward demonstrating the thesis (30). The additional, subsidiary arguments and the manner in which they are drawn together toward the thesis are best organized according to an “immanent design,” or an arrangement that arises from the arguments themselves rather than one that is simply imposed from without (e.g., the five-paragraph essay form; 43–47). Even if written to people who have similar interests, an argument’s introduction should convince its audience that the argument is worth reading (49). This introduction calls for a certain degree of creativity to find some way of painting the argument’s substance in a way that will please and intrigue the audience; if a rhetor succeeds in this task, the audience will be more willing to spend the time and effort to ponder the argument proper (53). The introduction should also briefly outline the essential contours of the argument that the rhetor intends to prosecute; doing so aids the argument’s rhetoric by providing the audience a concrete set of expectations, which the rhetor can attempt to meet (55–56). Along the way to meeting these expectations, the rhetor should consider and account for possible counter-arguments (59): What weaknesses in the argument do these potential contraventions suggest? How can these weaknesses best be remedied? After prosecuting the argument, the rhetor should briefly conclude (61–62). Conclusions frequently summarize; they may also suggest additional implications that the central argument has, emotionally move the audience, or return to a theme or idea included in the introduction (62–63). Throughout the introduction, argument, and conclusion, the rhetor is also constrained to use an appropriate style of language because an inappropriate style will hamper the audience’s reception of the argument (73–74, 77–78, 84). Particularly apt for academic writing is a kind of “middle style” that steers a middle course between the colloquialism of conversational language and the elevation of highly stylized discourse (74–77). This middle style includes conventions about word choice, sentence construction, figures of speech, and formatting (79–104). Together, a rhetor’s use of these elements suggest certain things about that rhetor and give the audience a certain picture of who the rhetor is—a picture that may aid or inhibit the rhetor’s persuasive task. Once constructed, an academic writing needs a second look that does more than seek opportunities to make editorial changes (109). The writing needs to be evaluated in terms of the degree to which it fulfills its required objectives, the sharpness of its focus, the clarity of its thesis, the development of its logic, and the completeness of its explanations, and the piece should be revised accordingly (110). Such revision allows a rhetor to enhance the craftsmanship that the argument exhibits and the argument’s ability to move its audience toward truth (118). Given Crider’s stated purpose to provide an introduction to rhetoric for the academic essay, The Office of Assertion is a helpful, concise, and in its own way, pleasant book. At various points, some readers might wish for more specifics or more direct instruction, but on Crider’s conception of rhetoric as primarily a faculty of the mind rather than a set of independent techniques, the book strikes a nice balance between generality and specificity. Crider seeks not so much to show his readers directly how to write good, academic essays as to show them how to think—how to have the kind of mind that produces good, academic essays. Style is a component of this larger package, but mere mechanical observation of grammatical or stylistic “rules” can, quite possibly, fail to induce other elements of good essays, like invention and organization. By contrast, a rhetorically-trained mind naturally seeks out effective style. Thus, Crider’s book and the relationship that he advocates between rhetoric, academic writing, and style have much to commend them as aids toward delightfully introducing oneself and one’s audience to truth.